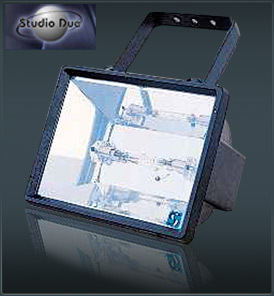 All our Studio Due Strobe Nero lamps are finisced in a weather-proof aluminum case suitable for outdoor use. By using special high-efficiency low discharge resistant Xenon lamps, the Studio Due Strobe Nero delivers ultrabright instantaneous flashes. All versions can work either independently (with flash frequency regulation through a potentiometer built into the unit), and with an external trigger (0-10 volts) for control and synchronization of up to 15 units in total. • Flash frequency: min. 3/sec. max. 12/sec.